​The film chronicles the story of Kevin Hines, who at age 19 attempted to take his life by jumping from the Golden Gate Bridge. 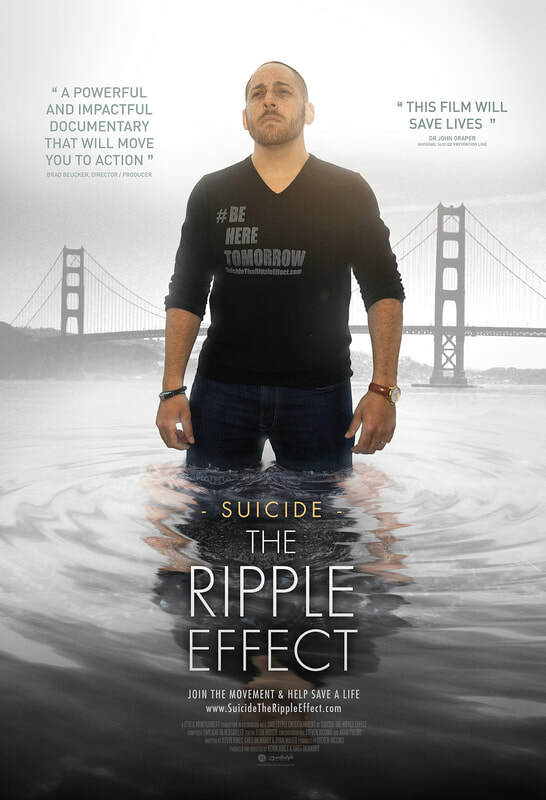 Since then Kevin has been on a mission to use his story to help others find recovery and stay alive, and has become the worlds most prominent suicide prevention speaker and advocate. The film also features some of the world’s leading suicide prevention experts and shines light on people who are using personal experiences with suicide to help others find the hope they need to stay alive. 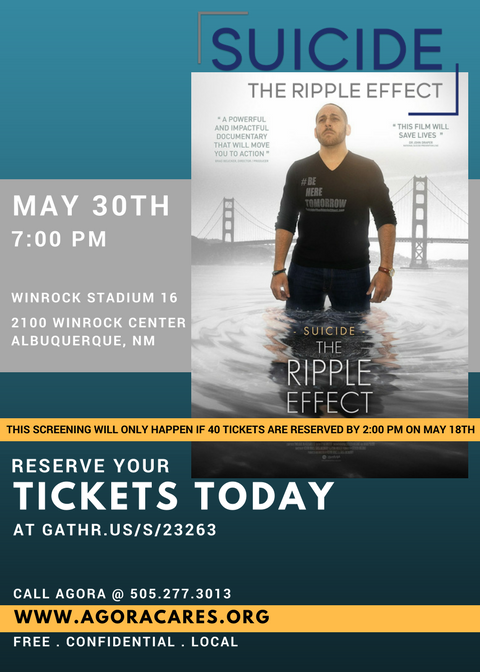 This will be he first screening of Suicide: The Ripple Effect in New Mexico! Help us ensure that this important documentary is screened by sharing this event with your friends and loved ones. Let them know why you feel it's important to talk that we start having this conversation about suicide awareness and prevention. The only catch is we need to have 40 tickets reserved by the community before May 18th at 2:00 pm. This is where you come in. We need your help getting the word out. Text your friends with the flier and screening info. We will see you on May 30th!